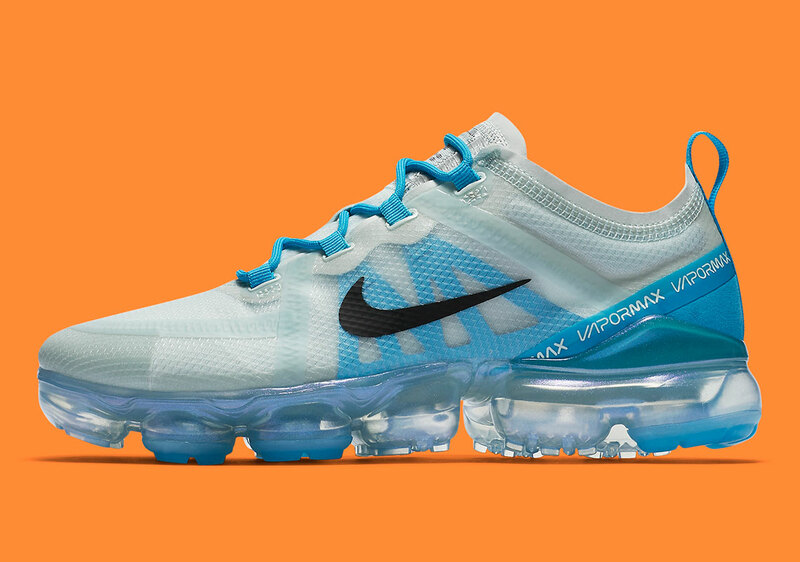 Now in its third year, the Nike Vapormax has blossomed a fruitful family tree of styles, touching on technical running, avant-garde fashion styles, and everything in between. 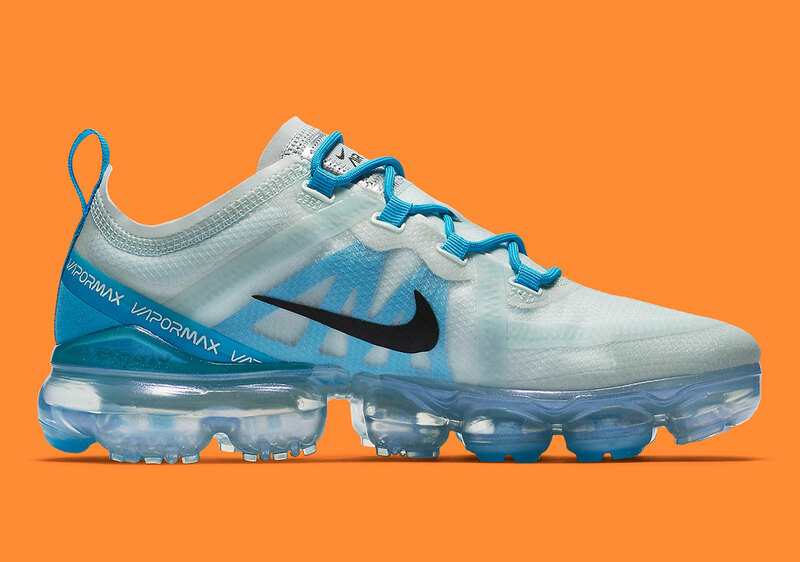 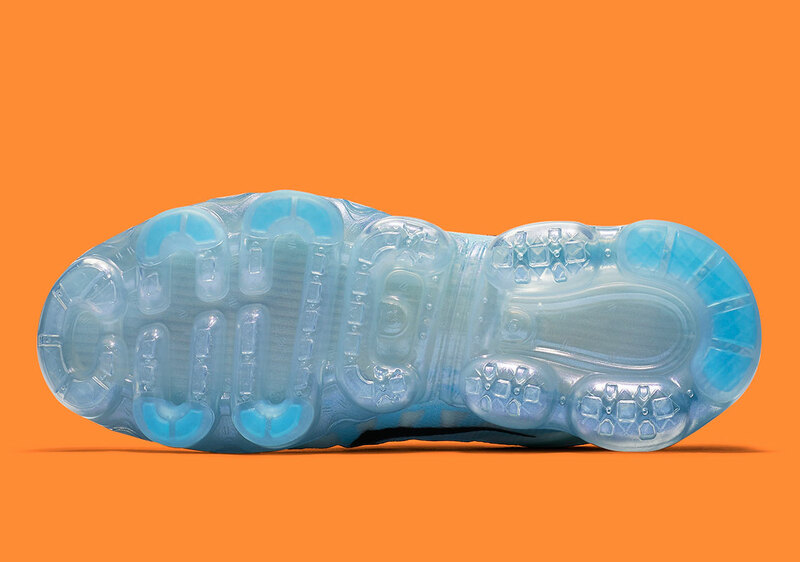 The Vapormax 2019 is most certainly on the performance end as it is built with the milers in mind, but the upper re-design, which was inspired by the essential techwear of space travel, belongs in the casual/lifestyle sector as well. 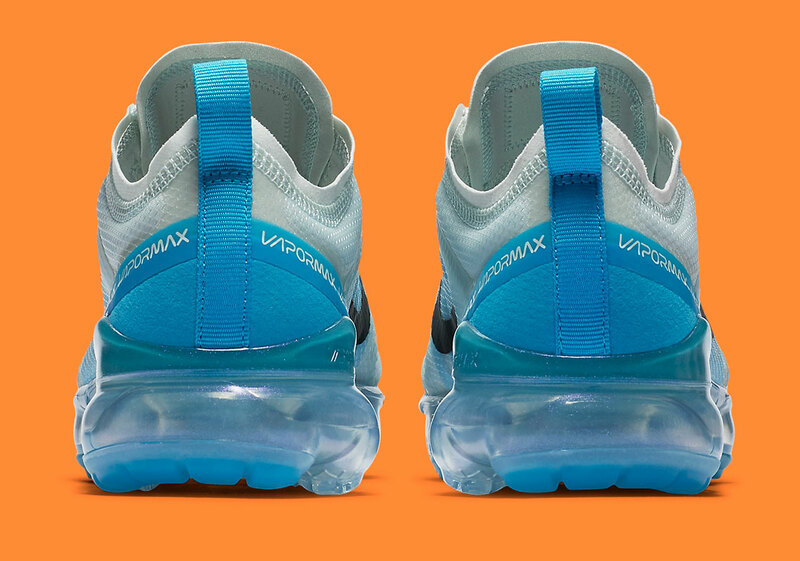 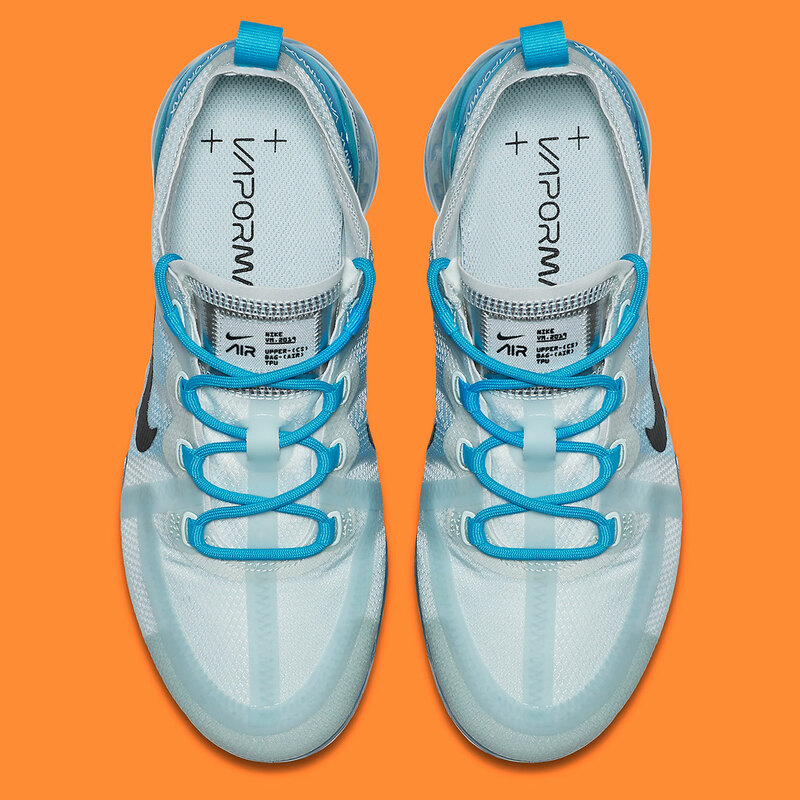 This new colorway achieves the two-toned contrast that the brand has been so poignant with as it makes use of barely grey base with a hue of neon-ish blue on the heel, laces, and mid-foot harness, all while accentuating the natural tint of the Air unit. 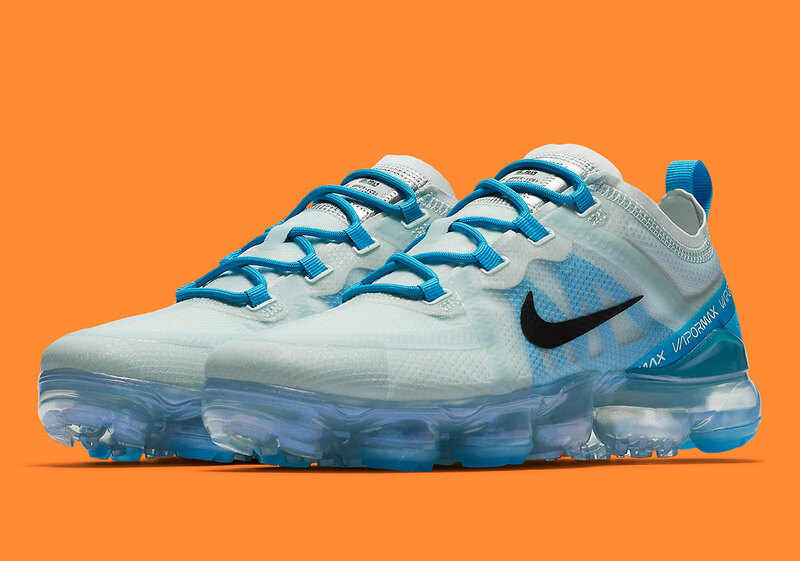 Expect this flashy new colorway to hit Nike running retailers soon.